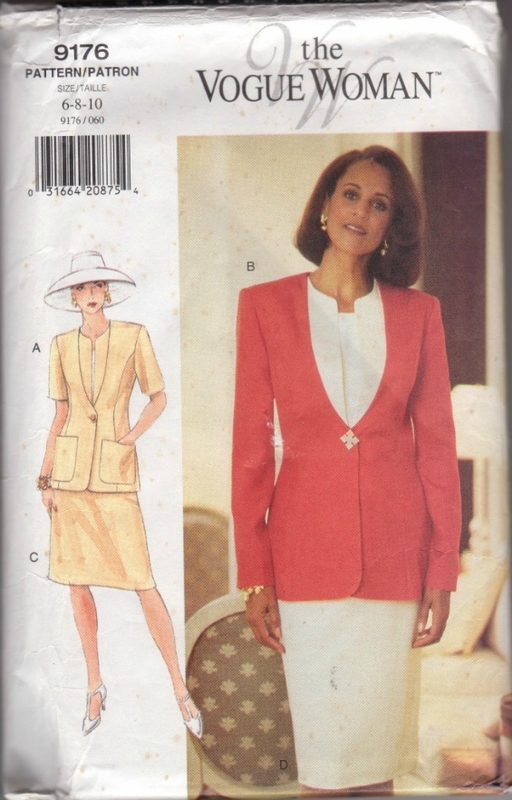 I used Vogue 9716, which is an OOP pattern from 1995 which doesn't seem that long ago to me! It's an obscure pattern and I could find no reference to it on the internets except for a few for sale on etsy and eBay. I'm not sure what the difference is between Vogue Woman and ordinary Vogue patterns - the body measurements are the same, so maybe they are a more mature style perhaps? 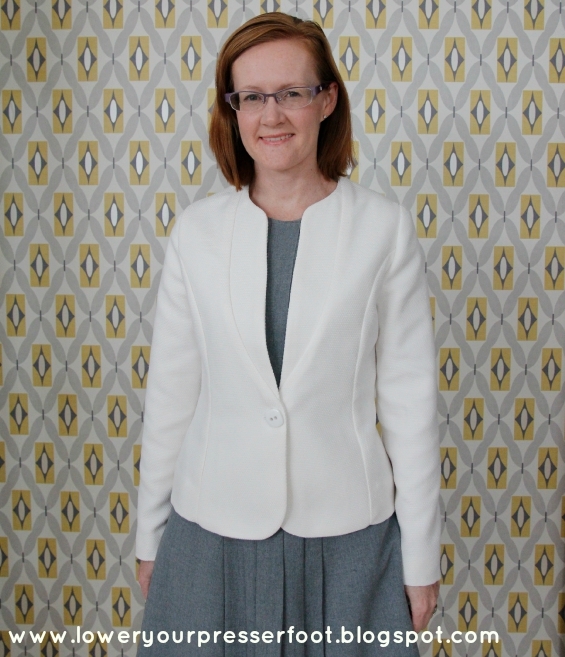 I've actually sewn this jacket before in my pre-blogging days in a powder blue cotton sateen which was terribly frumpy - those extended shoulders and mid thigh length certainly do not suit me at all. That jacket has long since gone off to the charity shop. For this version I shortened it significantly, by almost 15cm which meant I had to leave off those patch pockets, and I narrowed the shoulders to a more natural line because I didn't plan on wearing armour style shoulder pads with this jacket. I also nipped in the centre back seam and princess seams on the back to deal with my swayback - there is still a little bit of excess fabric in the back but I really didn't want a jacket to be too fitted since it's meant to be worn over other garments. 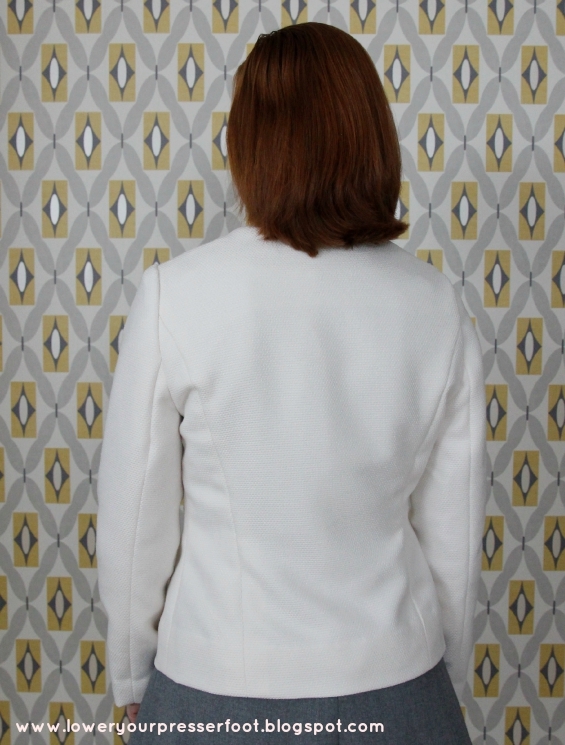 I really do like that inset collar - tailored jackets with a quirky collar is definitely my favourite garment to make and wear. 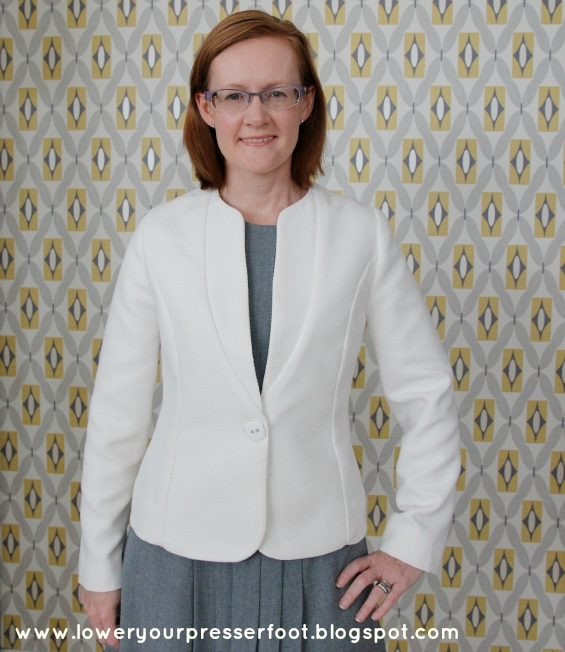 I find them a bit more feminine and interesting than a traditional notched lapel tailored jacket, especially when worn with a dress. I could have done a much better job in grading the seam allowances though, because the wool is quite thick and the ridge of the seam allowances is clearly visible. But apart from that nitpicking (why are we so harsh on ourselves?) I'm really pleased with how the jacket has turned out. 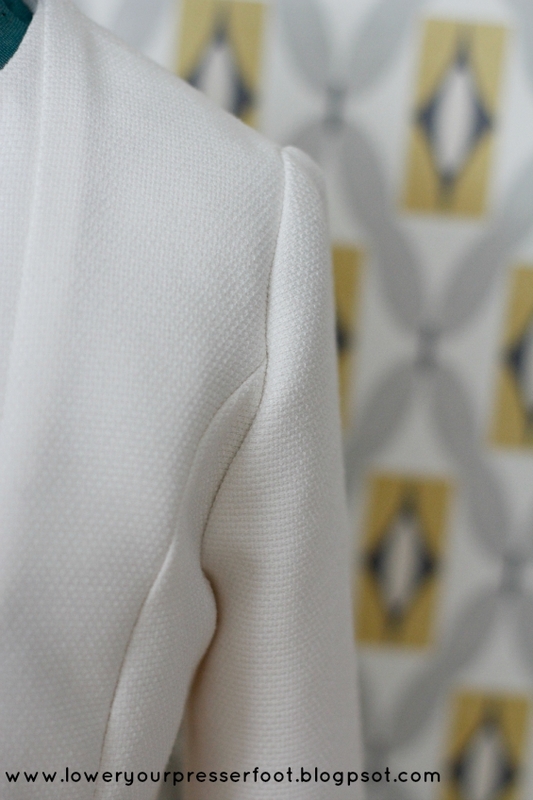 A white jacket will go with so many things in my wardrobe so it will be really useful. I just need to stay away from my small children when I'm wearing it though!